Opened in 1983 and now known as “Mrs. 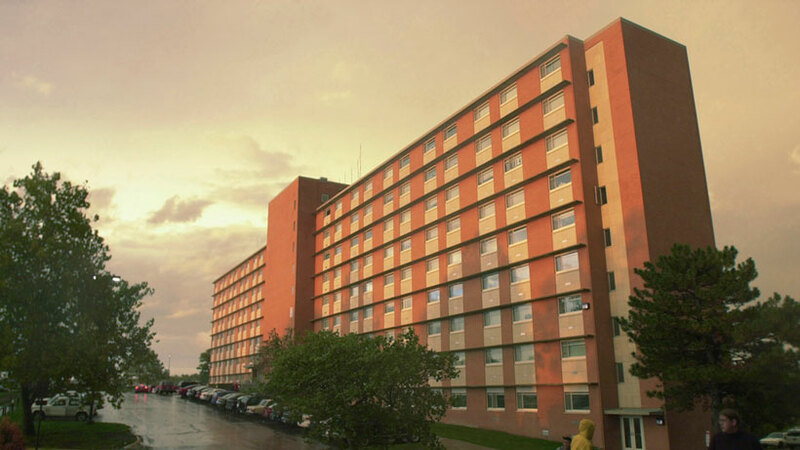 E’s,” it was named in 1993 for Lenoir D. Ekdahl, director of residence-hall food service for 35 years before her retirement in 1989. 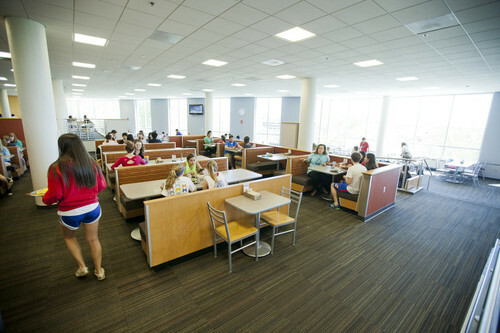 The three-level dining center for the 3,300 students in Daisy Hill residence halls adjoins Lewis Hall; it features food-court style service and seats about 700 diners. A $5 million renovation completed in August 2013 included new equipment and furnishings, new food stations and revamped menus and food service. 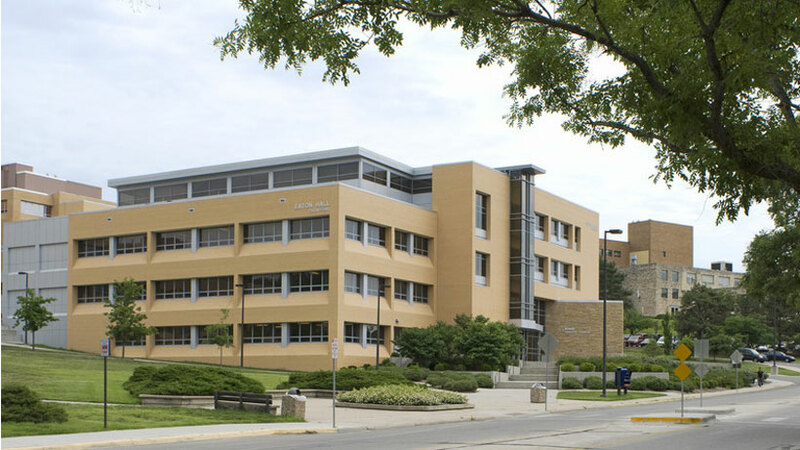 Built in 1963 as a men’s hall, it is named for Fred Ellsworth, a 1922 journalism alumnus who from 1924 to 1963 was secretary of the Alumni Association and editor of its Graduate Magazine. Remodeled in 2002-03, it houses men and women in two-person rooms, suites and studios.